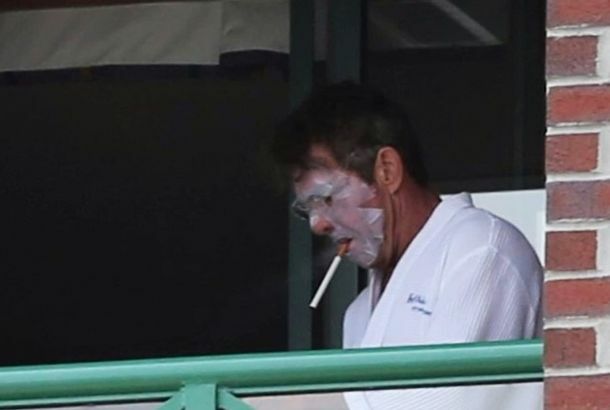 Why Hasn’t This Photo of Dennis Quaid Smoking in a Sheet Mask Gone Viral?A gorgeous image. 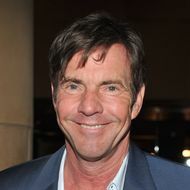 Dennis Quaid to Play George W. Bush in Katrina: American Crime StoryHe’ll surely do a heckuva job! Seitz on Vegas: A CBS Crime Procedural Tries for Mad Men GlitzIts no-fuss directness is appealing. We may come back in future weeks to get our Dennis Quaid fix. Dennis Quaid Can Find a Way for Even Cow Talk to Be CharmingThe grin still works, damn it. Jennifer Aniston and Dennis Quaid Might Join That Jackie Brown Tie-In SwitchThis one sounds fun. Soul Surfer Trailer: The Most Feel-Good One-Armed Movie YetDennis Quaid + Helen Hunt + Carrie Underwood - an arm = this Bethany Hamilton biopic. Miley Cyrus Hits Valet’s Car and Runs; Sandra Bullock Spotted at Red OThe young pop singer might have dodged criminal charges by bailing the scene. Showtime Drafts Off of Dream ManiaThey’re showing ‘Dreamscape,’ a cheesy sci-fi flick about dream raiders. Sound familiar? Carrie Underwood and Dennis Quaid On SetUm, hang ten? Carrie Underwood Is an Actress NowPlus: Rob Riggle is coaching football! Madonna Is Stealing Some of Oprah’s MovesShe’s opening up a girls’ school in Africa. Tom Hanks, Reporting for DutyPlus: an indie Allen Ginsberg movie showdown. Never Ask Faye Dunaway If She Threw Pee on Roman PolanskiPlus: What did Meatloaf say that he later blamed on vertigo? Jermaine Dupri Puked in Janet Jackson’s LapThat’s the way love goes, we guess? Speaking of which: ScarJo got married! And more, in today’s gossip roundup. Book Publishers Sadly Agree: Silda Not Likely to Tell AllBook publishers and editors agree that a Silda Spitzer tell-all is unlikely. Rachael Ray’s people disagree with yesterday’s Post item which claimed that Ray’s show may soon be canceled. Broadway vet Phillip Hoffman would like you to know that he is not the same person as actor Phillip Seymour Hoffman. The Duke of Westminster succeeded in getting British papers to drop rumors that he was Client 6 because libel laws are stricter in England. The owners of Cain, GoldBar, Upstairs, Marquee, and Butter had a poolside nightlife summit down in Cove Atlantis. Of all the times for there not to be a tidal wave.